What is difference between a BIOS password and a Windows password? Can’t get past the password screen while the computer is booting? When you ran into this situation, it’s possible that you forgot the BIOS password or Windows password on your PC. In order to determine which type of password it is, you need to know the differences between a BIOS password and a Windows password. BIOS (or UEFI) is non-volatile firmware used to perform hardware initialization before calling the boot loader to start the OS. BIOS has a setup utility which provides the ability to view and manage your computer’s hardware settings, such as changing the boot order or enabling CPU virtualization. Setup password: The computer will prompt for this password only when you are trying to access the BIOS Setup Utility. This password is also called “Admin password” or “Supervisor password” which is used to prevent others from changing your BIOS settings. System Password: This will be prompted before the operating system can boot up. This password might also be called “User password” or “Power-on password” and it can stop someone powering up your computer. If you forget any of these passwords, the reset process can be difficult or impossible. Depending on the motherboard of the computer in question, you can clear a lost BIOS password through jumper settings or removing the CMOS battery. Windows allows you to create separate accounts for different people to share a single PC. Each person can set a unique Windows password for their accounts to prevent unauthorized access. 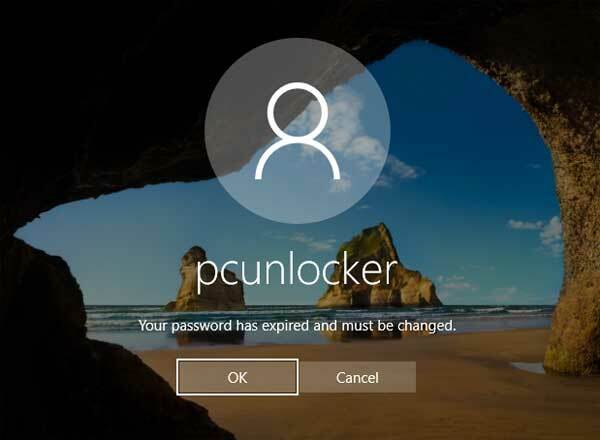 If you forgot your Windows password and can’t log in to your PC, just boot your PC with PCUnlocker Live CD or USB and you can remove the password with ease. 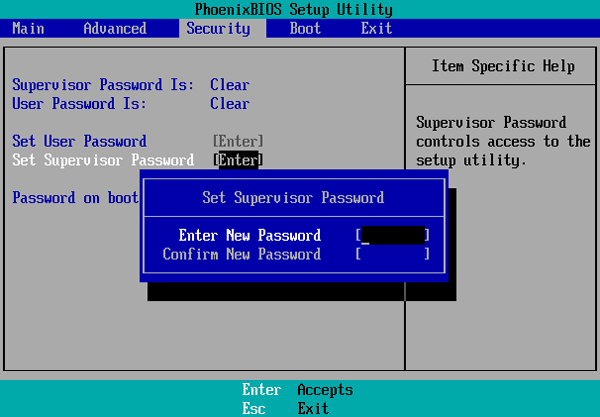 BIOS password adds a hardware-level layer of security and locks the early stages of the startup process. After the BIOS passes the control to OS, you’ll see the Windows logo displayed on the screen. When your PC boots to the welcome/lock screen, you can click on the user name and sign in with a Windows password. 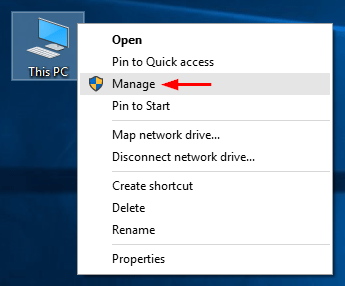 How to block access to changing the time for Windows 10? Is there a way to lock the system date and time on a public or shared computer? Here’s how to use group policy to prevent users from changing date and time in Windows 10 / 8 / 7 / Vista / XP. 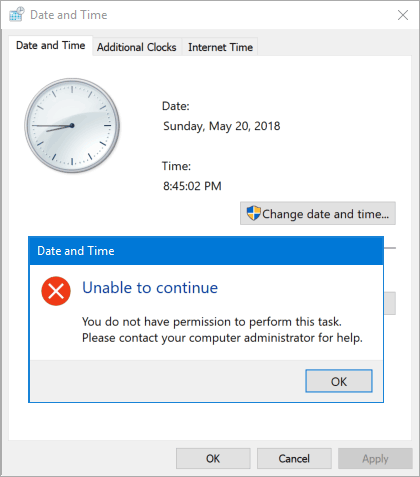 How to Prevent Windows Users from Changing Date and Time? By default, only administrative accounts are able to change the system time. 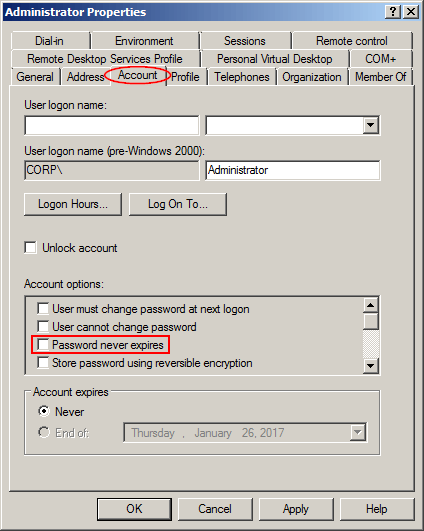 Follow these steps to prevent specific user or even administrators from changing date and time in Windows 10 / 8 / 7 / Vista / XP. Press the Windows key + R together to open the Run command. 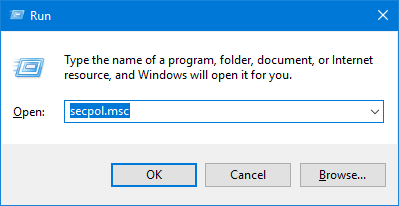 Type secpol.msc and hit Enter to open the Local Security Policy window. On the left-hand side, drill down to Local Policies -> User Rights Assignment. On the right, double-click the “Change the system time” setting to modify. In the Properties window, select any specific user or group that you want to block from changing the system date / time, and click on Remove. 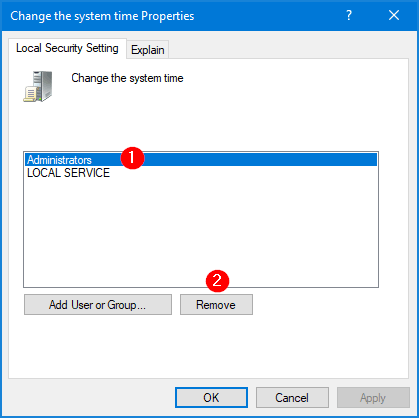 This setting will also prevent you from changing the system date/time using the Settings app in Windows 10. If you’re running Windows 10 Home, you have to add Local Group Policy Editor to Windows 10 Home before running the secpol.msc command. How to Check if I Have Windows Administrator Rights? Do I have local admin rights? 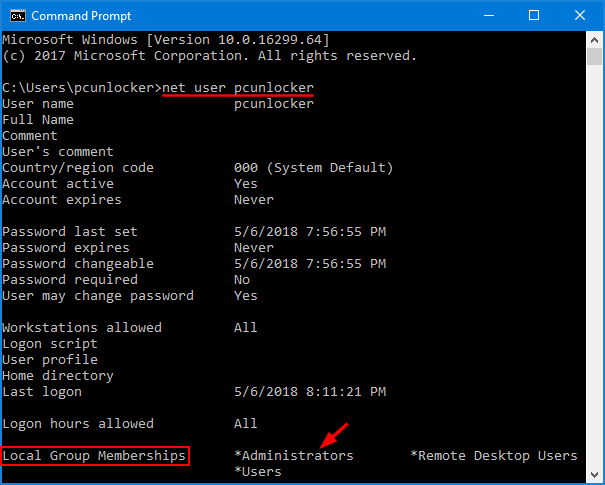 Before you can make system-wide changes to the system, such as install software or run elevated command prompt, you’ll need to log into Windows as a user with administrative rights. 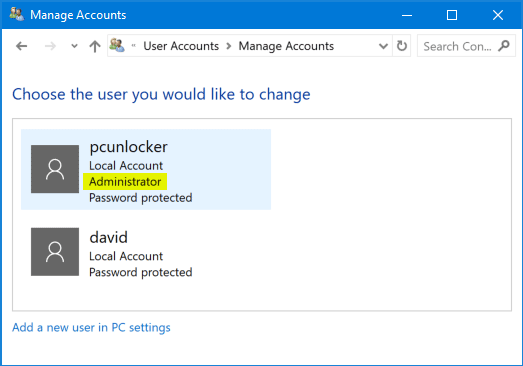 Here’s how to quickly check if a user account is an administrator or not in Windows 10 / 8 / 7 / Vista / XP. 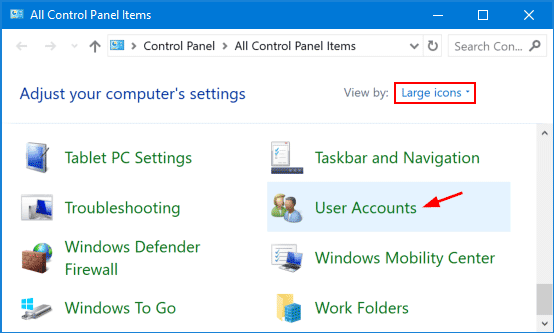 Open the Control Panel in Large icons view, and then click User Accounts. Click the Manage another account link. You should see all the accounts on your computer. If your account has admin rights, you can see the word “Administrator” under your account name. As you can see from the screenshot above, pcunlocker is an administrator while david is a standard/limited user. Press the Windows key + R keys on the keyboard to open the Run box. Type cmd and press Enter. In the Command Prompt, type the following command and hit Enter. You’ll get a list of attributes of your account. Look for the “Local Group Memberships” entry. If your account belongs to the “Administrators” group, it should have admin rights. Can’t log into Windows if your password contains certain special characters? If you’re concerned about the security of your Windows account, you may use some ultra complex password generated from password manager. When setting up password via Control Panel, you can input special characters with a copy and paste operation, or using the built-in Character Map utility. The problem is that these ways don’t work on the Windows login screen. 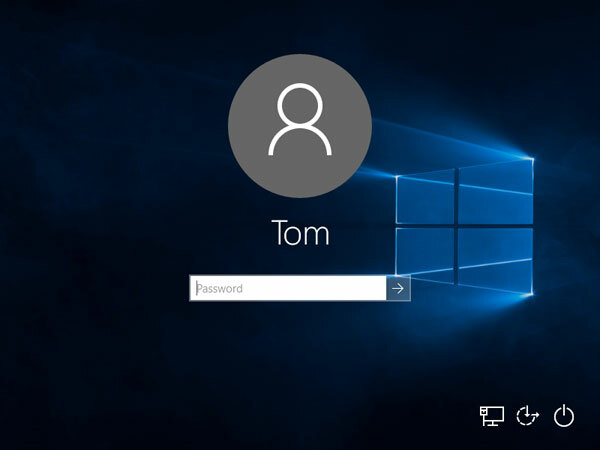 In this tutorial we’ll explain how you can enter special characters on Windows login screen, or simply remove your password to unlock your computer. When the NUM LOCK key is on, press and hold down the Alt key, then tap the numbers (ALT code) on the numeric keypad at the right side of your keyboard. Release the Alt key, the desired character will appear. For example, let’s say you want to type the copyright symbol ©. It’s ALT code is 0169. With Num Lock enabled, hold down Alt key and tap the sequence of numbers (0, 1, 6, 9) on the numpad, then release the Alt key. 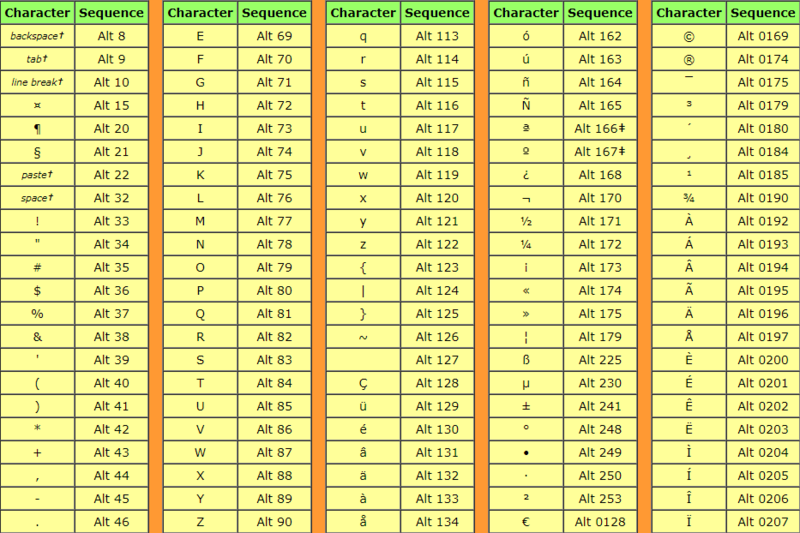 Note: You must use the numeric keypad to type the ALT code. However, most laptops and tablets don’t have the traditional numeric keypad. To type special characters, you may have to add an external USB keyboard with embedded numeric keypad. 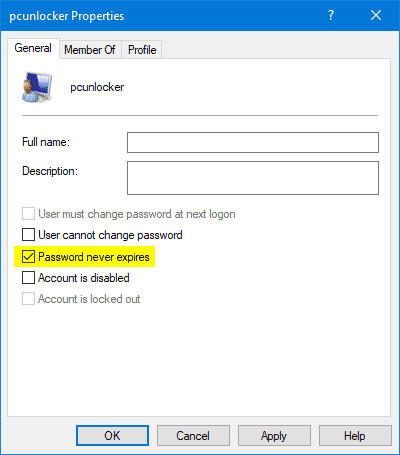 If you’re still unable to type special characters on the login screen, you may be completely locked out of Windows admin account. 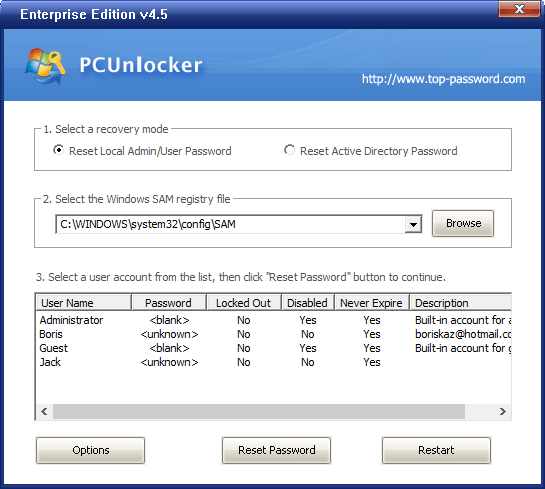 In order to regain access to your system, you can use PCUnlocker to remove the login password before Windows loads up. To start, use a second computer to download the ISO image of PCUnlocker. 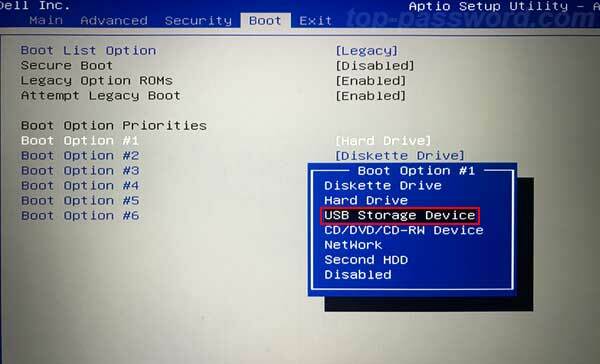 Run the ISO2Disc utility and browse for the ISO file you just downloaded, just select your USB drive and start the process to create a bootable PCUnlocker USB drive. Plug the USB drive into your locked computer. Enter into the BIOS setup and change the boot sequence to force your computer to boot from USB drive first. 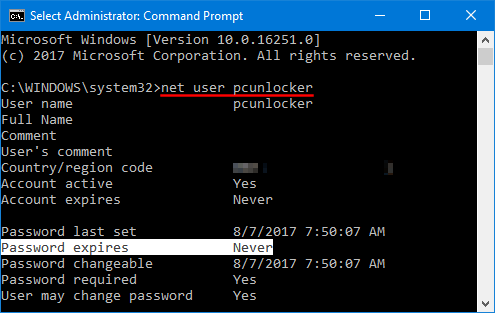 After PCUnlocker loads from the USB drive, you can see all local accounts found on your computer. Just select your admin account and click on Reset Password button. 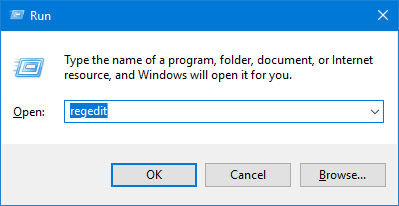 This lets you remove / delete the Windows password that you’re unable to type on the login screen. Reboot your computer and restore the BIOS boot sequence to boot from hard drive. 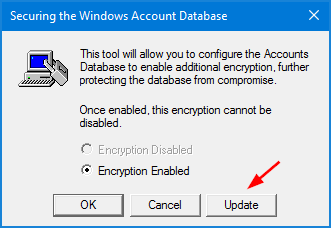 Windows will log in to your local admin account without prompting you to type password any longer. Done! 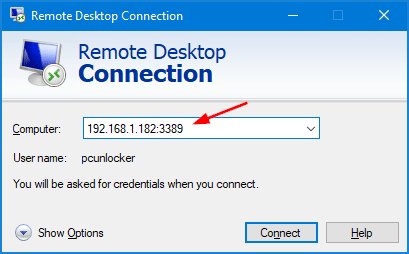 By default, Windows uses TCP/IP port 3389 for remote desktop connection. Since this port is well known and it could pose a security risk, you’d better change remote desktop RDP port for your Windows computer as an added security measure. The following method works with Windows 10, 8, 7 and Windows Server. How to Change RDP Port for Windows Remote Desktop Connection? Press the Windows + R keys to open the Run command box. Type regedit and press Enter. Scroll down on the right until you see the PortNumber value, and then double-click it to modify. 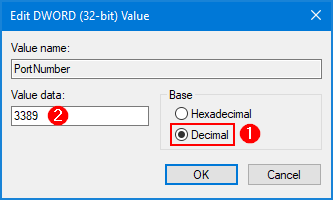 Click Decimal, and type in the new port number that you want to use for remote desktop and click OK.
Close the Registry Editor and reboot the computer. Note that the next time you connect to your PC with RDP you will need to add a colon followed by the port number to the IP address. Password reset disk is a special disk that could be used to reset your Windows password if you forget it. Just go to Control Panel > User Accounts and Family Safety > User Accounts, you can click the “Create a password reset disk” link on the left pane to create such a disk. A password reset disk contains a single file named userkey.psw, which is an encrypted backup version of your password. You can only make a password reset disk while you still know your password. The process of creating a password reset disk is just like writing down your password on a piece of paper. So, if you’ve already forgotten your password, it’s too late to create a password reset disk. Still have questions about password reset disk? 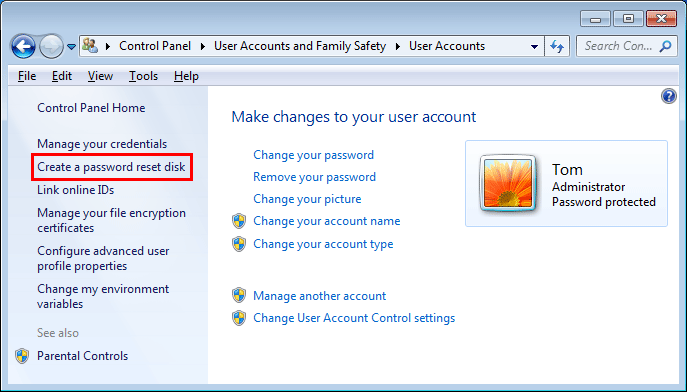 Please check out this article: FAQs for Password Reset Disk in Windows. 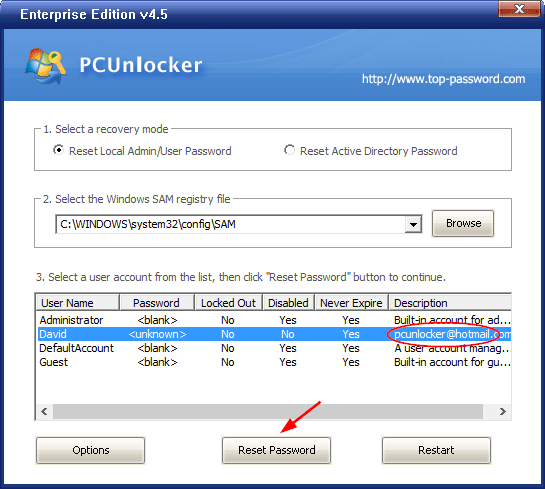 What to do if you forget Windows password but you don’t have a password reset disk? This happens so many times because we only aware that a password reset disk must be created before we forget the password. Fortunately, there are several good alternatives to password reset disk. 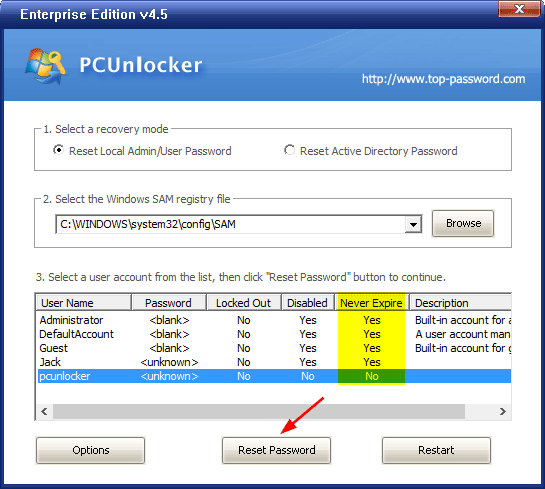 PCUnlocker is the best alternative that could hep you reset forgotten Windows 10 / 8 / 7 / Vista / XP password instantly. When you’re locked out of your own computer, just use an alternative PC to download PCUnlocker and create a bootable CD/USB drive. Next, boot your locked PC from CD/USB and it allows you to bypass & reset lost admin password easily. When you try to change or reset the password of a user account, you might find the checkbox “User must change password at next logon” is greyed out, so you can’t choose this option. 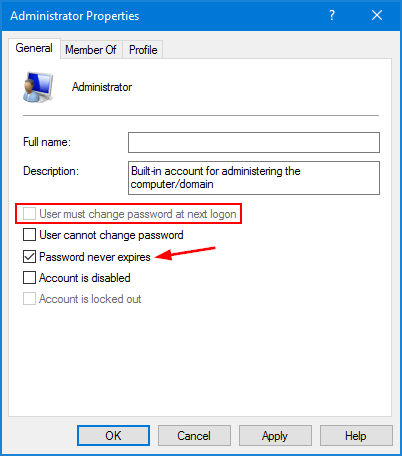 In this tutorial we’ll show you how to enable the “User must change password at next logon” option that is greyed out for Windows local or domain user account. Open the Computer Management. Expand System Tools, then Local Users and Groups, then Users. 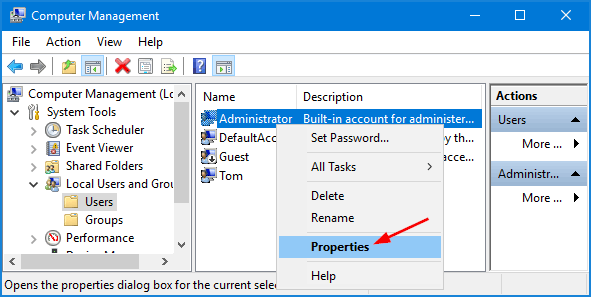 Right-click on your local account and select Properties from the context menu. This will open the Properties dialog box. Uncheck the “Password never expires” box and you’ll then find the “User must change password at next logon” option is enabled. Click Apply and then OK. 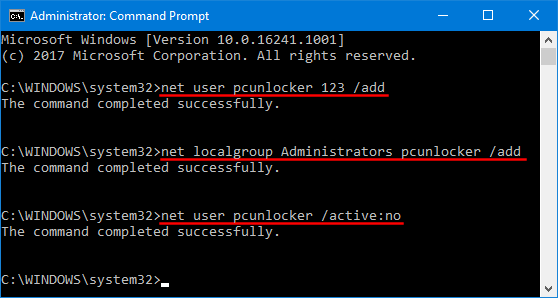 In Windows Server with Active Directory installed, open the Active Directory Users and Computers MMC snap-in (start->run->dsa.msc). 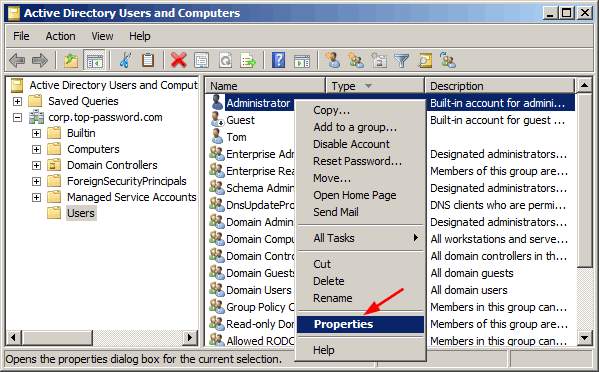 Right-click on your domain user and select Properties. Click the Account tab. Under the Account options section, uncheck the “Password never expires” checkbox and click OK.
Now you should be able to reset the password and force the domain user to change it at next login. Is it possible to set up a USB Drive to log into Windows without installing any software on the PC? SysKey is a built-in Windows utility that allows you to set up a Startup Key/Password to protect the SAM (Security Accounts Management) database. You can store the Startup Key to USB drive. Whenever the computer boots up, you will have to insert the USB drive to login. In this tutorial we’ll walk you through how to enable SysKey in Windows 10/8/7/Vista/XP, and use a USB drive as a key to lock & unlock your computer. How to Lock & Unlock Windows PC Using SysKey? Syskey (also known as SAM Lock Tool) was introduced since Windows NT. It’s so old that it only stores the Startup Key on the A: drive. So you need to assign the drive letter A: to your USB flash drive before following the steps below. Press the Windows key + R to open the Run box. Type syskey and press Enter. 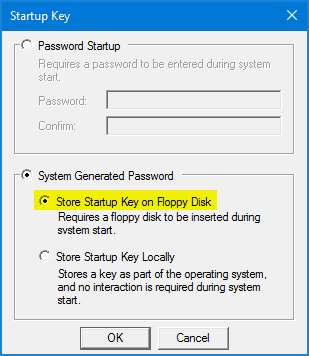 Choose the System Generated Password option, and then select Store Startup Key on Floppy Disk and click OK.
You will be asked to insert a disk into drive A: to save the Startup Key. 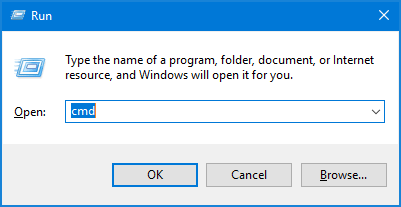 Make sure you change the drive letter of your USB drive to A: and click OK.
After Windows writes the Startup Key into your USB drive, you’ll receive the message that the disk is now required to start up the system. Open your USB drive and you can see a single file named StartKey.Key, which is 16 bytes big. 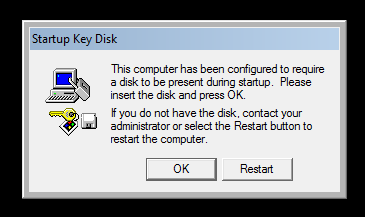 Every time you computer boots up, you’ll be presented with the Startup Key Disk dialog which requires you to insert your USB drive. Without the USB drive, you’re unable to get past to access Windows login screen.